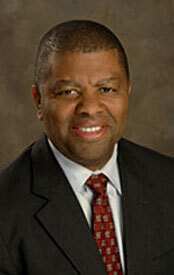 Dr. James Benton has been a certified radiation oncologist since 1997. He has practiced at Radiotherapy Clinics of Georgia’s main center in Decatur since 1998, primarily treating prostate cancer patients. Before joining RCOG, Dr. Benton served as Chief Resident of Radiation Oncology at Emory University Hospital in Atlanta. As a young boy living in Savannah, Dr. Benton thought often about growing up to be a physician. He earned his medical degree at Morehouse School of Medicine, graduating first in his class. From there, he went to the Medical College of Virginia to serve his internal medicine residency. Dr. Benton completed his radiation oncology residency at Emory University in 1996, eventually becoming chief resident before coming to RCOG. “Many facilities offer treatments similar to what we do. Over the years, we have treated a lot of prostate cancers, but it’s the quality of the work we do that makes us different,” Dr. Benton says. Dr. Benton’s love of math, physics, and science led him to radiation oncology, a specialty he admires for the depth of its technical detail and the breadth of its clinical application.